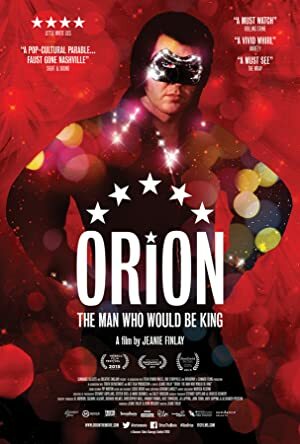 Orion: The Man Who Would Be King (2015) – What's New on Netflix Canada Today! ‘There are many that believe that Elvis is still alive – if he is alive he wears a mask and goes by the name Orion’ Nashville News 1979 ORION tells the story of Jimmy Ellis – an unknown singer plucked from obscurity, and thrust into the spotlight as part of a crazy scheme that had him masquerade as Elvis back from the grave. With an outlandish fictional identity torn from the pages of the best selling novel Orion by Gail Brewer Giorgio, the backing of the legendary birthplace of rock ‘n roll; Sun Records and a voice that seemed to be the very twin of Presley’s himself, the scheme – concocted in the months after Presley’s death exploded into a cult success – and the ‘Elvis is alive’ myth was begun.